As warmer weather approaches, it’s a good time to get your home in shape for spring. While spring cleaning will likely be at the top of your list, you should also take the time to prepare your HVAC system for the changing seasons. Taking the time to care for your unit now will help it run more efficiently, and it may reduce the need to call an HVAC contractor for repairs. Below are a few ways to take care of your system this spring. The changing of the seasons are generally a good time to change the air filters in an HVAC system. You may need to change them more frequently based on pets, climate, and household allergies, so check your filters every 30 days or so, and install a new one if it is clogged, dirty, or full of dust. Clean filters maintain optimal indoor air quality, and they also keep your HVAC system running efficiently. When air filters are dirty, it has to work harder to provide the airflow you want, leading to higher utility bills and a less comfortable environment. If you want to save money on cooling bills this spring and summer, schedule an appointment with an HVAC contractor for a tuneup. They will fix any small issues and help you spot inefficiencies in your system; additionally, they may point out habits that may wear down your system faster than necessary. Seasonal tuneups can extend the life span of your unit, and it can also lower utility bills as your HVAC contractor will ensure your system is running efficiently. It’s easy to let yard maintenance go by the wayside during the winter. As the days get longer and warmer, take the time to go outside and clean up around the condenser unit of your HVAC system. Remove any debris or overgrown foliage near the unit, and create two feet of clearance on all sides. As you plan your garden, maintain that perimeter to help your condenser unit run efficiently and keep a clear path for your HVAC contractor to address the unit if needed. Since 1999, families in south-central Kentucky have relied on Inner City Trades for all their heating and cooling problems around the home. 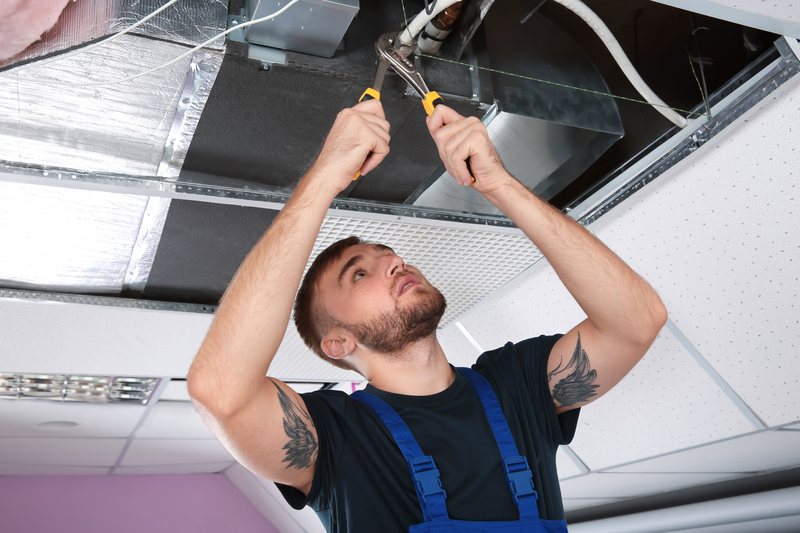 Along with AC and heating repair, the Somerset-based HVAC contractor also offers plumbing services, remodeling work, drain cleaning, gas line installation, and water heater installation. To request a quote, call (606) 678-9663, and visit their website to learn more about their heating and cooling services. Follow them on Facebook for updates and news.